Manipur Tourism recently organized the curtain-raiser of the upcoming Manipur Sangai Festival at Select City Walk Mall at Saket, New Delhi. 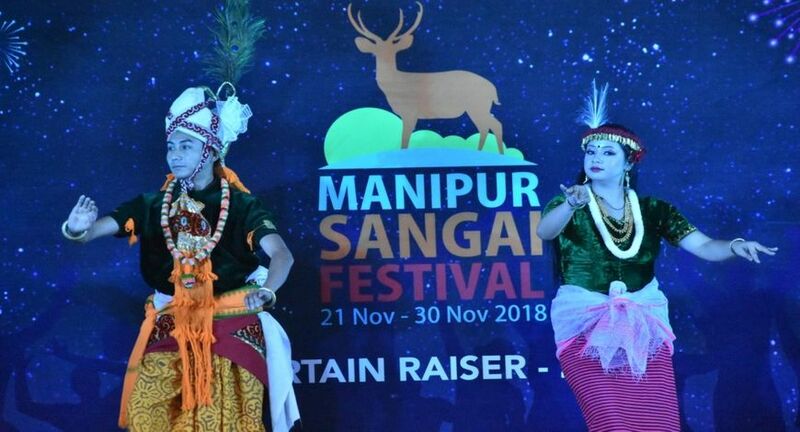 The event showcased the varied attractions of the Manipur Sangai Festival scheduled from 21 to 30 November, 2018. 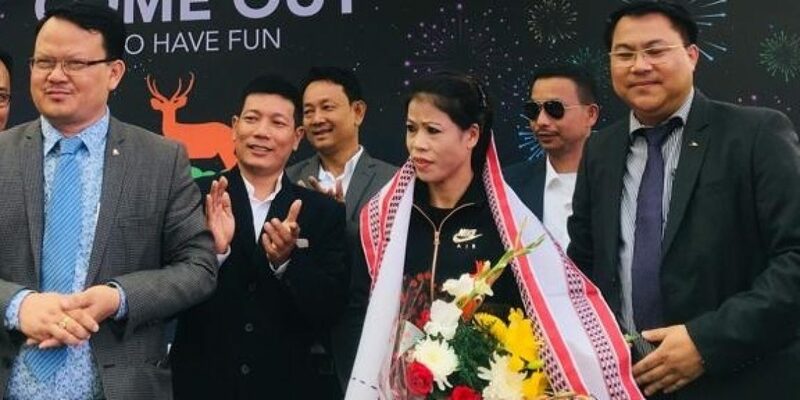 Former Boxing World Champion Mary Kom, Padma Bhushan Awardee and MP from Rajya Sabha Sarita Laishram along with the Former Indian Football Captain P. Renedy Singh and Guinness World Record holder in Limbo Skating, Master Tiluck Keisham promoted the festival at the curtain raiser event. Also, the updates and information about the largest tourism festival of Manipur, was shared by the officials from Manipur Tourism and its stakeholders. 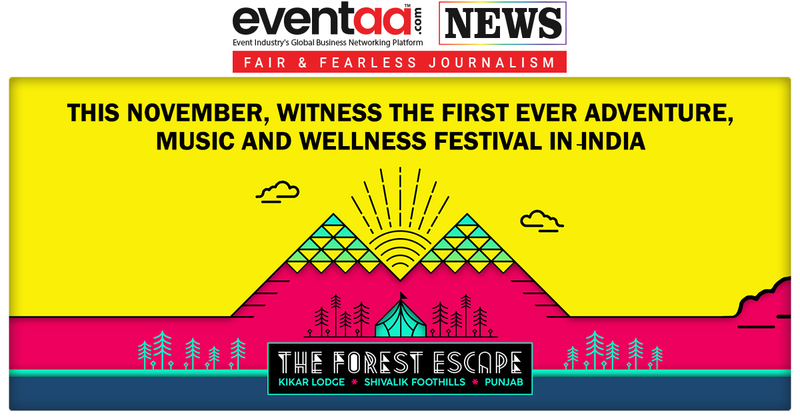 The festival takes its name from the state’s unique, shy and gentle brow-antlered Sangai Deer (Dancing Deer). The Sangai Deer is found only in Manipur’s floating Keibul Lamjao National Park, at Loktak Lake. The festival has great profundity in showcasing its rich art and cultural heritage and celebrating the various ethnic diversities of Manipur. 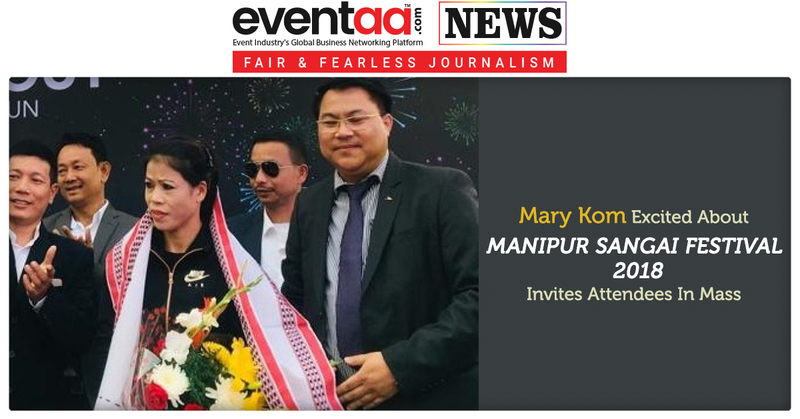 Sapam Ranjan, Chairman, Tourism Corporation Manipur stated that the festival will be inaugurated at Imphal, the capital city of Manipur on 21st November 2018. Two other districts; Bishnupur and Senapati districts of Manipur will also play host to the festival and have a line-up of events ranging from half-marathons, water-sports and trekking to other adventure activities.